Seymour I. Schwartz, distinguished Alumni Professor of Surgery, was born in New York City where he was educated in the public school system. In 1947 he received his Bachelor of Science degree from the University of Wisconsin, Madison and was elected to Phi Beta Kappa. In 1950, he graduated from the New York University College of Medicine and was elected to Alpha Omega Alpha. That year, he began his surgical residency training program at the University of Rochester School of Medicine and Dentistry, completing the experience in 1957, at which time he joined the surgical faculty where he has remained for the ensuing 48 years, culminating in Chairmanship from 1987 to 1998. In 1960, he was awarded the John and Mary R Markle Scholarship in Academic Medicine. His basic research focused on liver physiology, portal hypertension, platelet physiology, and the effects of carotid sinus nerve stimulation on hypertension. Although he performed as a general surgeon, a vascular surgeon, and a cardiothoracic surgeon, and a pediatric surgeon, his major clinical impact was in the field of hepatobiliary surgery. Schwartz is best known for his contributions to the surgical literature. He has authored over 250 scientific articles in refereed journals and several textbooks including: Surgical Diseases of the Liver, Tropical Surgery, Atlas of Hepatic Tumors and Focal Lesions, and Surgical Reflections. He was editor-in-chief of two editions of Maingot's Abdominal Operations, and seven editions of Principles of Surgery, which sold over half a million copies and was translated into nine languages. 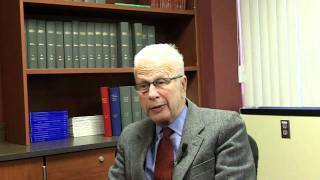 Dr Schwartz was also editor-in-chief of Contemporary Surgery for 28 years, Yearbook of Surgery for 22 years, and the Journal of the American College of Surgeons for 10 years. 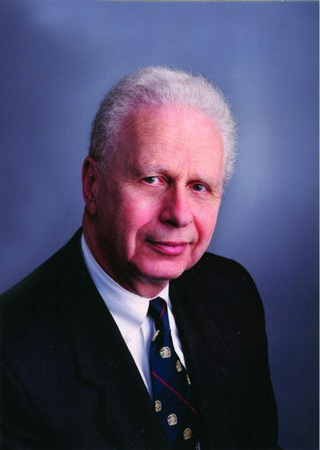 Dr Schwartz served as President of America's most prestigious surgical societies: the Society of Clinical Surgery (America's oldest surgical society), the American Surgical Association (America's premier surgical society), and the American College of Surgeons (America's largest surgical society), in addition to the Central Surgical Association. Dr Schwartz has been the recipient of many awards from surgical societies and surgical departments in the United States and abroad. He received the Distinguished Service Award from the American College of Surgeons, the Berson Medical Alumni Award in Clinical Science from New York University, and the Albert David Kaiser Medal from the Rochester Academy of Medicine. He has been elected to honorary fellowships in the major surgical societies in five continents, and has received an Honoris Causa (PhD) from the University of Lund, Sweden and the Complutense University of Madrid and an Honorary Doctor of Science from the University of Wisconsin. He was elected to membership in the Institute of Medicine and the American Philosophical Society. Dr Schwartz has also had a long term interest in the mapping of America and has written five books on the subject, one of which is the standard reference on the subject. In the realm of history and cartography, he serves on the Boards of the National Museum of American History, Smithsonian Institution, and the Geography and Map Division of the Library of Congress. Seymour Schwartz, M.D. Reflects on Craig Smith, M.D.